The International Cycling Union (UCI) has confirmed the dates of the races that will make up the 2013 WorldTour series, which it refers to as “the best of road cycling.” The series of events, which run from January to October, are identical to those of 2012, aside from the addition of the Chinese Tour of Hangzhou, whose intended first edition was cancelled this year. The Tour of Beijing switches places with Hangzhou in the calendar, meaning that it will be the WorldTour’s final event for the third straight year. The only other major moves in the calendar involves races reverting back to their previous dates, having moved in 2012 to avoid a clash with the Olympic Games. The Tour of Poland resumes its late-July, early-August slot - having moved to mid-July in 2012 - while the Vuelta a España moves back a week to start in late August and run much further into September. With the 2013 World championships in Florence, Italy, taking place a week later than this year - between 21st and 29th September - the Giro di Lombardia [now referred to as il Lombardia by organiser RCS Sport - ed] moves back into October, although will still be slightly earlier than its traditional slot. 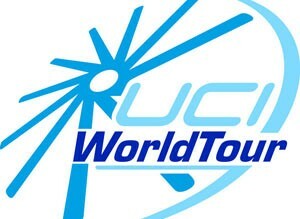 The 2013 WorldTour will get under way with the Tour Down Under in Adelaide, South Australia, on January 22nd. The 2012 series is currently led by Bradley Wiggins (Team Sky), thanks to his victories in Paris-Nice, the Tour de Romandie, the Critérium du Dauphiné and the Tour de France.